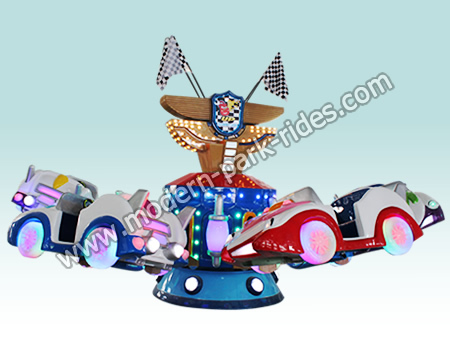 1.Rotating rotating bounce ride is a kind of big amusement equipment which is controlled by the different fixed program include waves, alternate rise and fall, etc. 2.There are 6 arms , and 4 seats on each arm. The passengers will rotating and ups and down with the arms when the rotating machine start to move. People will attracted by jumping machine, and enjoy the happiness and exciting. 3.Rotating bounce is made of fiberglass reinforced plastics(FRP), equipped with gorgeous lighting, great music, Non-fading and durable painting. 4.The whole designs in updated cartoon figures and colorful painting make kiddy play merrily and enjoy great happiness. It is operated by a control box. When the ride works, the players rotate along the long track and feel that they are experiencing a wonderful travel.